Randy Mask Plumbing, Inc. offers system repairs, replacements & upgrades as well as new system installation. Contact us today for a FREE estimate! Is your water heater leaking or not operating properly? As an expert in water heater repair and installation, Randy Mask Plumbing, Inc. can help you with your repair needs quickly and efficiently. We repair, service and install all major water heater types, styles and brands including: Rheem, A.O. Smith, Bradford White, Noritz, Rinnai and more. We can diagnose problems quickly and our trucks are fully stocked with the parts needed to get the job done correctly. If you decide to replace instead of repair your water heater, Randy Mask Plumbing, Inc. can provide you with quick water heater installation (typically same day installs) for all types of water heaters. 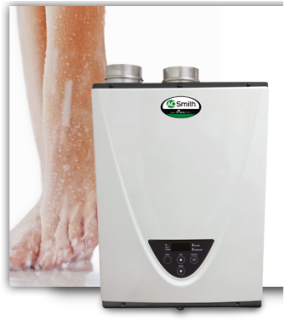 We are a proud distributor and installer of A. O. Smith, Bradford White and Rheem high efficiency water heaters. No one comes close to matching the expertise and innovation of these product lines. Whether you need it for your home or business, Randy Mask Plumbing Inc. has the right system for your hot water needs. Never run out of hot water again. 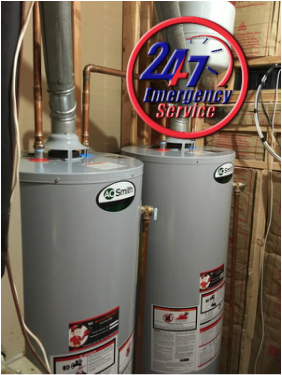 Our tankless water heaters will continually provide a steady flow of hot water for as long as your application needs it. Continuous hot water... in one of the most energy-efficient ways possible. Because our water heaters only activate when hot water is being used, no standby energy losses are incurred, providing efficient heating while conserving energy. Tankless water heaters take up much less space than your conventional tank-type water heater or boiler. With no tank or boiler to steal valuable storage space. I live in Bradenton and hired Randy Mask Plumbing to fix my water heater. They were recommended by a friend that used their service in Sarasota.They explained in detail the problem and gave me some alternatives. I decided to go with a tankless water heater. There were substantial credits offered from my gas company for making the switch. Additionally, we are saving money every month on our gas bill. The performance is great so far. I can't thank Randy Mask Plumbing and their team enough for the wonderful experience. I would highly recommend them to anyone.